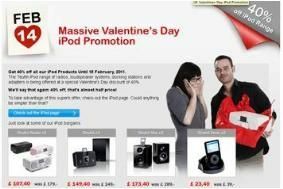 HOT DEAL: Teufel offers 40% discount on iPod docks for Valentine's Day | What Hi-Fi? Full details of the Teufel iPod dock range can be found on the company's website, and all are available to buy online. And yes, you can get the iTeufel Radio v2 in pink.